Kalo Place Mini Park is scheduled to be closed for nearly 12 weeks for park maintenance. 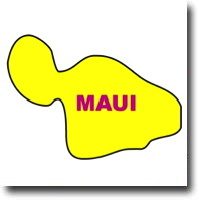 The City and County of Honolulu will restrict parking in Lanikai for the three-day Good Friday holiday weekend in its continuing effort to balance public access to nearby beaches with public safety for the community. As the rainy season has come and gone, with summer drawing near, the Department of Parks and Recreation is welcoming the new season with several special spring-time events. The latest off-leash dog park is now open on Oahu after Mayor Kirk Caldwell, Department of Parks and Recreation (DPR) Director Michele Nekota, and the Mayor's Office of Culture and the Arts (MOCA) Executive Director Misty Kelai led a blessing ceremony today. A reroofing and general improvement project for the comfort station located in the Three Tables section of P p? ?kea Beach Park is scheduled to begin on Monday, March 4. The parking lot improvements at Waiau District Park will continue tomorrow with the beginning of a repaving project for the upper parking lot. In the continuing effort to secure park facilities island-wide, the Department of Parks and Recreation (DPR) is expanding its securing parks initiative to District IV, including Windward O�ahu and the North Shore (from Makapu�u to Mokul ia). The first triennial calendar for surf events on O�ahu's North Shore has been finalized and is now available online. On July 30, 2018, the Department of Parks and Recreation (DPR) amended its rules and regulations governing shore water events held in city parks. This included revisions to the application filing deadline, extending it from 30 days to 90 days prior to the shore water event. Although media coverage focused primarily on the rule changes to surf events held on the North Shore, the new rules regulate shore water events on all shores of O�ahu. The Hanauma Bay Nature Preserve will change to its winter hours schedule starting tomorrow, Wednesday, September 5, which means the park will be closing an hour earlier. Beginning today, a project forged through a private public partnership aims to restore the sand dune at a popular North Shore beach which experienced severe beach erosion last winter. The proposed rule changes for the Department of Parks and Recreation (DPR) Shore Water Events will be in effect as of Monday, July 30, 2018. P wa a In-Ha Park is scheduled to be closed this Friday to address several maintenance projects within the park. 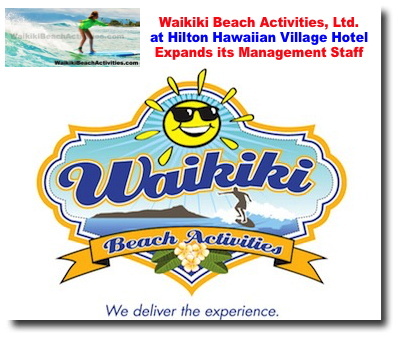 Waikiki Beach Activities, Ltd. (WBA), Hawaii's leading pool-and-beach service provider, announces the promotion of its top managing staff, exclusively serving the Hilton Hawaiian Village Waikiki Beach Resort. Enterococci bacteria can occur naturally in the environment independent of outside sources, and no sewage overflows have been reported by the Department of Environmental Services. Oahu, Hawaii Windward (East) Shore Beach. Get info, map, directions, current conditions and more. Save money on your dental care in the Honolulu, Hawaii on the island of Oahu. Schedule an FREE Honolulu dentist appointment and get valuable offers. 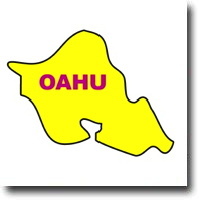 The prior "Rules and Regulations Governing the Sale of Message-bearing Merchandise by Nonprofit Organizations in City Parks and Facilities" has been repealed, and new rules under Honolulu Administrative Rules Title 19, Chapter 18 entitled "Sale or Distribution of Expressive Materials" have been adopted. 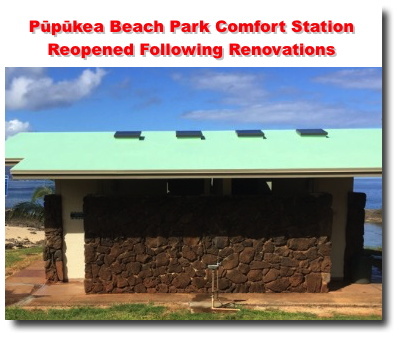 Pūpūkea -- The comfort station at Pūpūkea Beach Park near Shark's Cove is now open following a renovation project which made numerous improvements to the structure. 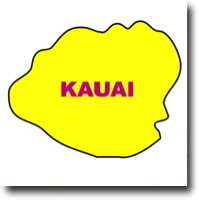 Parking lots at Kailua Beach Park are scheduled for intermittent closure from Monday, August 14 through Thursday, August 17 for cleaning and maintenance. A new born monk seal pup is being weaned by it's mother at Sans Souci/Kaimana beach. this can last up to 5 weeks or more. The public is advised to stay out of the water. Hawaiian monk seals, even pups, are large powerful animals and can bite if they feel threatened. Hawaii has plenty of picturesque beach locations worthy of being immortalized in paintings. Al Hogue, master of modern light, has done just that. From the beaches on Kauai to beaches on Oahu, Al Hogue captures the beauty of Hawaii. The Hawaiian Lifeguard Association and the City and County of Honolulu teamed up to warn of potential dangers when jumping off of two popular spots. Hawaii has plenty of picturesque beach locations worthy of being immortalized in paintings. View some of Hawaii's premier artists Hawaiian beach art. Hawaii has plenty of picturesque beach locations worthy of being immortalized in paintings. Mark N. Brown, Hawaii's premier Plein Air artist, has done just that. From the Queen's Beach to various Waikiki beach and surf paintings, Mark captures the beauty of Hawaii in his Hawaii Beach Artwork Collection. 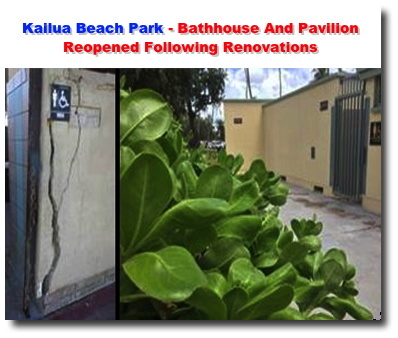 The Kailua Beach Park bathhouse and pavilion, located just north of Ka‘elepulu Stream, has been reopened today, Monday, July 3, following a renovation project that began in November 2016. Inspiration: A Honu or Green Sea Turtle hauls up to sun itself on a beach in tropical Hawaii. If they continue to have protection, these animals may be seen nesting in places that they have not nested in for hundreds of years. View beaches and shores on the island of Oahu. View beaches and shores on the island of Maui. View beaches and shores on the island of Kauai. View beaches and shores on the island of Hawaii (Big Island). 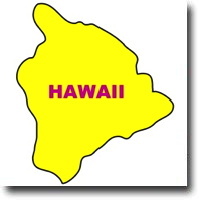 Community website featuring informatin about Hawaii beaches and the world. Beachstand.com cannot guarantee the accuracy of the beach information. 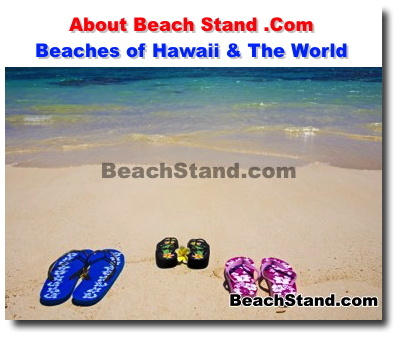 beachstand.com maintains this information and links for your personal entertainment, information, education, and communication. Beachstand.com has not reviewed all of the sites linked from these links and is not responsible for the contents of any off-site pages or any other sites linked to the Site. Your linking to any other off-site pages or other sites is at your own risk. Keep up with the latest Hawaii beaches news and happenings. Copyright© 2017 - 2019 BeachStand.com. All rights reserved.